SAFE - The innovative spark control system safely exhausts the sparks when in use. SMOOTH - Reduces vibrations and kick-back to achieve smooth, comfortable cutting with small energy loss. VERSATILE - Can be fitted with a variety of Grinders, and most 100-125mm blades, to be used in metal, wood & concrete. 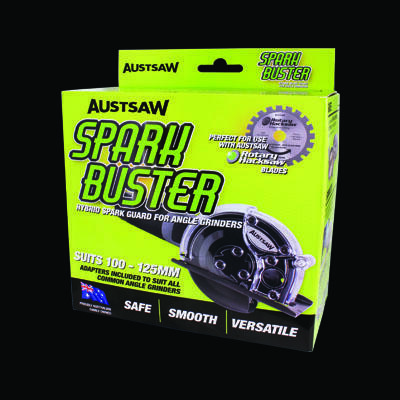 Perfect for use with Rotary Hacksaw Blades. Suitable Blade Type: 100-125mm Tipped Saws, Abrasive cutting wheels and Diamond blades. Designed to help cut: Steel, Aluminium, Wood, Plastic, Fibreglass and Plaster.